Do you have an Epson L351 printer. But all the red lights are blinking, and You don’t know what else to try. When using Epson L351 printer, you can encounter several flashing issues. The flashing alert advises resetting the waste ink pad counter. 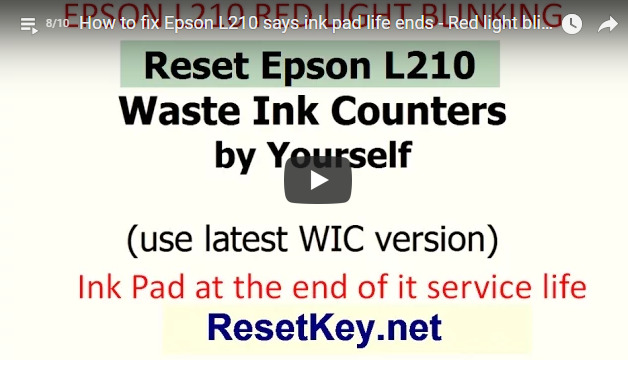 Normally, the printer’s red light blinking due to some causes, however the major reason of blinking is: Among the Epson L351 Waste ink pad counter is normally overflow. The printer counts the level of ink flow to waste ink pad and holds this total number into printer’s storage. This number is called Protection Counter. How to know Epson L351 printer Waste Ink Counters are overflow? Maximum waste ink counter of Epson L351 is 100%. Overflow shows that Epson L351 waste ink counters values are more than 100%. 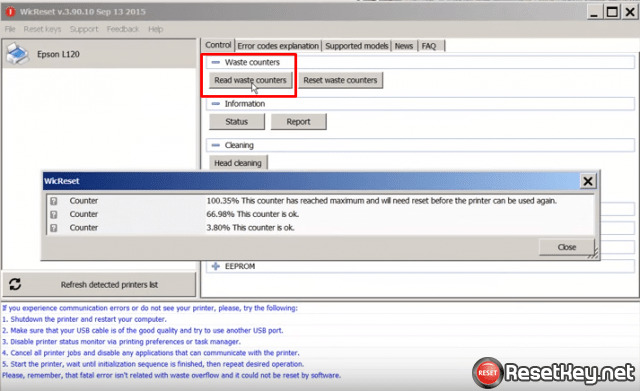 It is very easy to check Epson L351 waste ink counters with InkReset software. When ever one or three counters are overflow – you can not using printer – you have to RESET Epson L351 WASTE INK COUNTERS. Or how do I reset flashing lights error condition on my Epson L351 printer? During Epson L351 printer cleaning routine, it dispels ink from its nozzles down a waste pipe in to an absorbent pad. Epson has place a counter in their printers (included Epson L351 printer) that counts every page passed through the printer and has collection the Epson L351 printer to shut down after a particular number to avoid overflow of the waste ink pad. Generally, Epson L351 printer’s waste pad is around 35% to 75% full if the printer begins displaying an error message. Soon after the initial message, you can only print 19-20 pages before your Epson L351 printer refuses to works anymore. There exists a workaround which you can use to reset to zero the counter to its initial state. 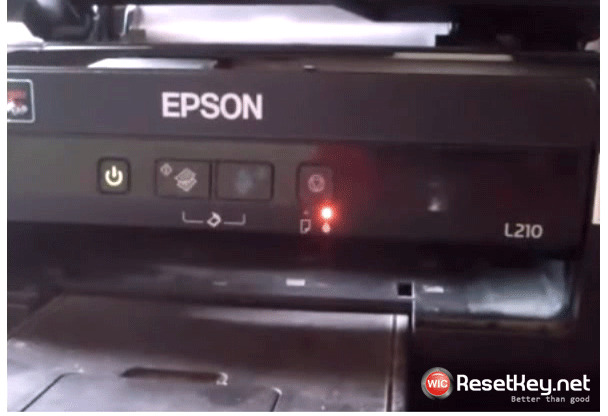 Try out these methods to fix “Epson waste ink pad counter in the printer is overflow” error. 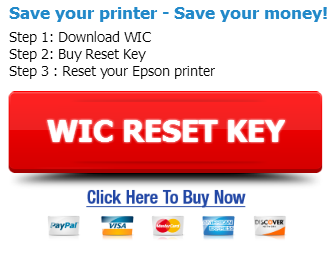 Once extracted and before starting, ensure that your Epson L351 printer’s driver are already installed on the computer. Double-click exe to run the WICReset Utility. Epson L351 adjustment program screen will appear. Select your printer model (Epson L351) in the left sidebar.